The U.S. Court of Appeals of the Seventh Circuit issued against a petition brought forth by the North American Association of Food Equipment Manufacturers and other organizations to review the test procedure and efficiency standards published in 2014. As a result, manufacturers of reach-in refrigerators and freezers must comply with new energy efficiency standards as set forth by the U.S. Department of Energy by March 27, 2017. 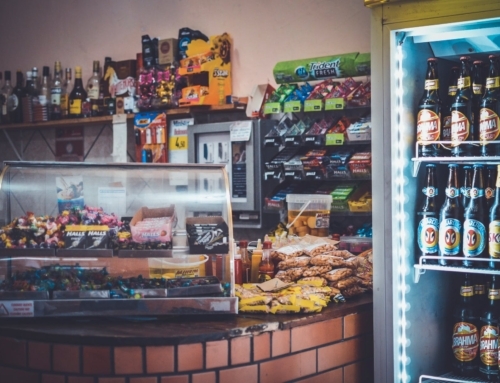 New regulations for walk-in refrigerators will take effect in January 2020. The new standards from the DOE require 30-50 percent energy level reduction for reach-in’s, 5 percent reduction for ice makers, and a 20-40 percent reduction for walk-ins. While the standards are taking effect for reach-ins, the US Environmental Protection Agency has been slowly phasing out CFC-based refrigerants alongside it’s SNAP program. The SNAP (Significant New Alternatives Policy) program’s goal is to phase out refrigerants that have a high potential for global warming and replace them with natural alternatives or blends that have a lower global warming potential by 2019. The decision means manufacturers of commercial refrigeration products, like ourselves must be ready to comply with these new regulations by the end of this month. The North American Association of Food Equipment Manufacturers (NAFEM) reports that at every step, the court deferred to the agency. “Arguing against an agency is always an uphill battle, but the amount of deference the court exhibits in the opinion is much greater than what we have seen in other cases,” says Jeff Longsworth, NAFEM Legal Counsel. According to Longsworth, the court seemed reluctant to grasp the technical integrity issues raised by NAFEM and the Air-Conditioning, Heating and Refrigeration Institute (AHRI), which collaborated on the filing. Use environmentally friendly hydrocarbon based refrigerants such as R290 or R600. If you’re ready to upgrade call us now at 800.441.4014 or visit our website contact form and a team member will be with you as soon as possible. Also for a limited time we have a 10% off referral special with fastpartitions.com without a doubt one of the best companies for all partition needs!